It's the end of the Year 2014 and it has been a very bad year for Malaysian aviation, especially in this Visit Malaysia Year. 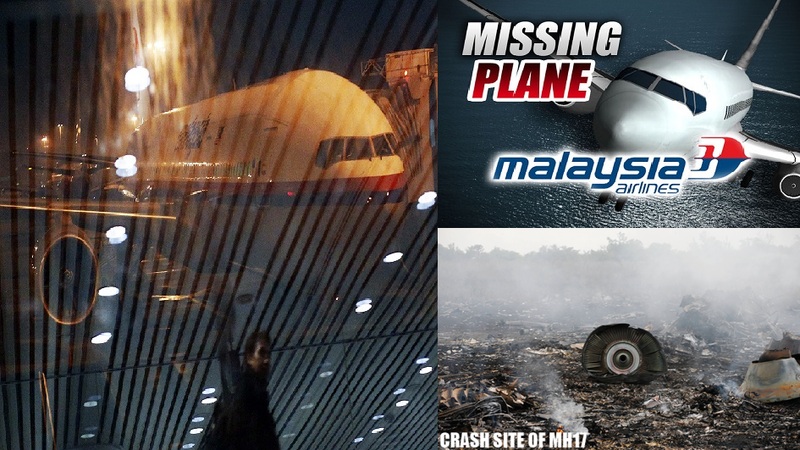 Malaysia's aviation woes began last March 8 when Malaysian Airlines Flt. MH370, a Boeing 777-200ER carrying 12 Malaysian crew members and 227 passengers from 15 countries, disappeared after it flew from the Kuala Lumpur International Airport en route to Beijing. As if the missing MH370 wasn't bad enough for Malaysian aviation. Then on July 17, another Malaysian Boeing 777-200ER Flt. MH17 with 15 crew members and 283 passengers went missing over Ukraine. MH17 flew from Amsterdam en route to Kuala Lumpur. Then as the news of the missing plane unfolded, its wreckage was found in a field not far from the City of Donetsk, Ukraine close to a housing subdivision, 50 kilometers from the Russian-Ukrainian border. This week an AirAsia Flt. No. QZ8501 with 162 people onboard this Airbus A320-200 en route from Surabaya City to Singapore confirmed crash in sea near est Java, Indonesia. At least 40 bodies have been found in the area where AirAsia Flight 8501 last made contact with air traffic controllers, along with debris from the plane. The incidents come as search teams spotted wreckage and bodies in the sea confirmed to be from an AirAsia plane that vanished in a storm Sunday en route from Surabaya in Indonesia to Singapore with 162 people aboard. 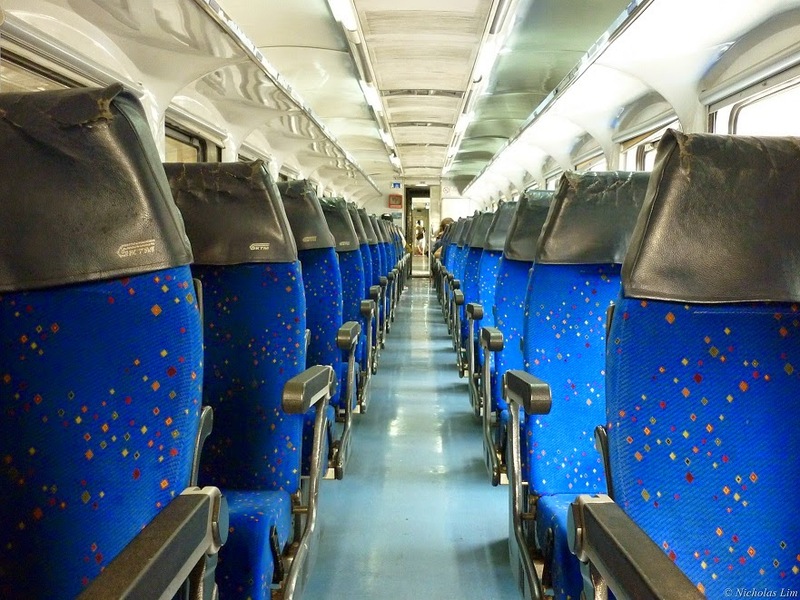 Yesterday, AirAsia flight FD3254 flight bound for northeast Thailand turned back to the capital Bangkok shortly after takeoff today when pilots detected an “irregularity” in the storage compartment, airline officials said. The plane returned to Bangkok’s Don Mueang International Airport soon after departing for Khon Kaen at 11.10 am (0410 GMT). Around two hours later a Thai Airways Airbus A340-600 from Bangkok to London was forced to return to the Thai capital shortly after take off, after the pilot reported a technical problem. “The plane had a problem with the hydraulic system, as a result the pilot decided to fly back to Suvarnabhumi Airport,” according to a Thai Airways statement. 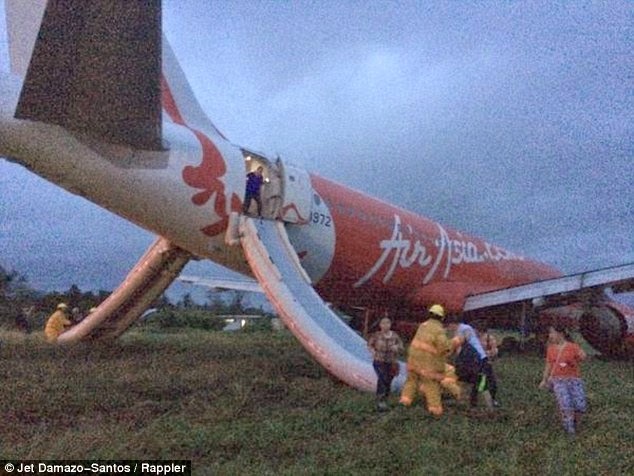 In the Philippines, AirAsia Flight Z2272, which was flying from Manila overshot the runway in Kalibo airport as it landed in bad weather on the tourist island of Boracay today afternoon. Police spokeswoman Nida Gregas confirmed to AFP that there were no injuries and all 153 passengers and crew were safely evacuated from the aircraft. With the Year 2014 at its last throes, there is no doubt that most people hope and pray for a better year in 2015. I wish to be more positive, however from all indications, the New Year 2015 doesn't promise any sign of peace and prosperity in the future. 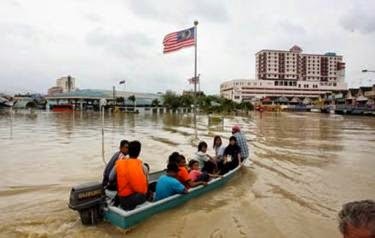 The Malaysian east coast states suffer worst floods in living memory. National news agency Bernama reported that 90,250 people were evacuated with the highest number in Kelantan at 32,343, followed by Terengganu (28,991), Pahang (24,316), Perak (4,335) and Perlis (265). 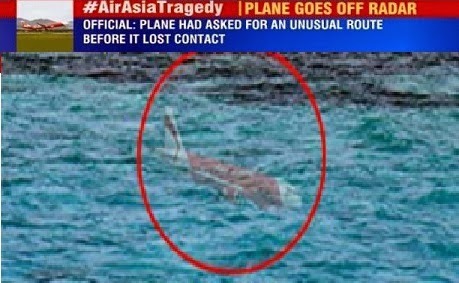 The bodies were found in the Java Sea about six miles from the plane’s last known point of contact. 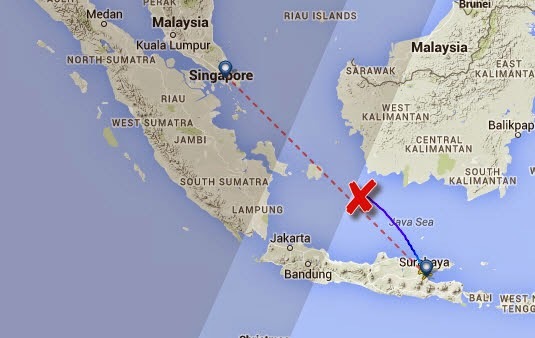 The plane disappeared Sunday with 162 people on board traveling from Surbaya, Indonesia to Singapore. 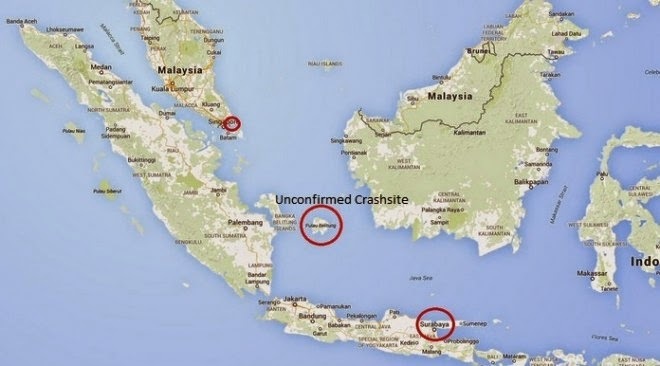 The bodies were were not wearing life jackets, according to Indonesia's National Search and Rescue Director, SB Supriyadi. Rescue workers were shown on local TV being lowered on ropes from a hovering helicopter to retrieve bodies. Efforts were hindered by 6-foot waves and strong winds, Supriyadi said, adding that several bodies were later picked up by a navy ship. After Malaysia and southern Thailand, Philippine is hits by a deadly storm causing flash flood and landslides triggered by Tropical Storm Jangmi. 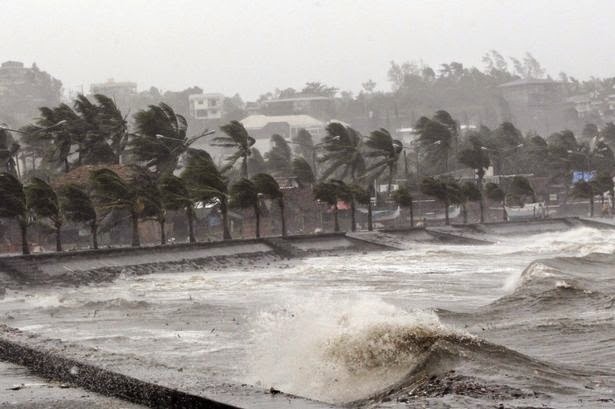 At least 31 people dead and seven missing in the Philippines, including in areas still recovering from last year's Typhoon Haiyan, officials have said. 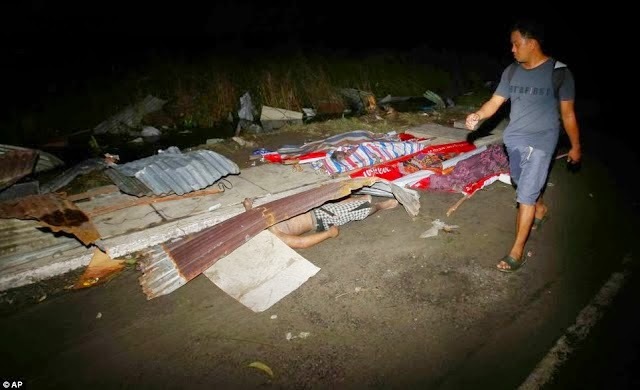 Mayor Stephanie Uy-Tan said 12 people died when a landslide buried two vans and six houses near a mountainside highway in eastern Catbalogan City. She said voices could still be heard from one of the vans and that rescue efforts were ongoing. 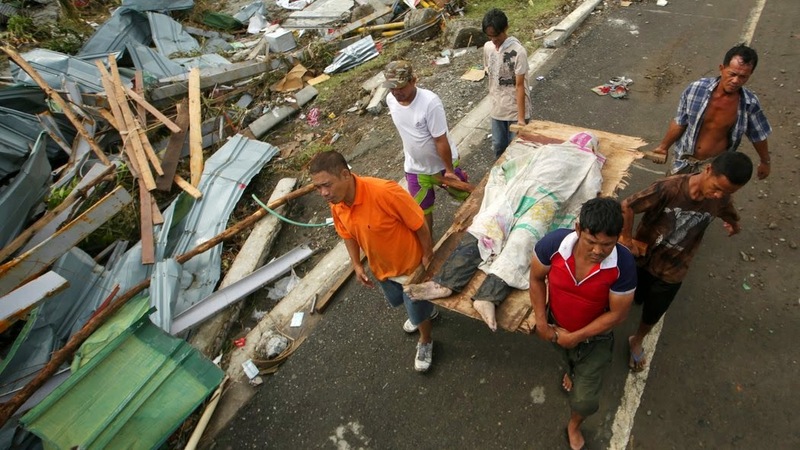 In eastern Leyte province's Tanauan town, which was devastated last year by Typhoon Haiyan, army rescuers retrieved five bodies from a house buried by landslide. MISSING AIRASIA PLANE LIKELY AT BOTTOM OF THE SEA? Search planes and ships from several countries on Monday were scouring Indonesian waters over which an AirAsia jet carrying 162 people disappeared on Sunday. The head of the search for the missing AirAsia Flight 8501 said there is little doubt the plane met a grim end. Transport Ministry official Hadi Mustofa said the aircraft, flight number QZ 8501, lost contact with the Jakarta air traffic control tower at 6.17am local time. remains missing after nine months. THE FLOODS CAUSE BY MASSIVE HUMAN-INDUCED DEFORESTATION IN MALAYSIA? The climate is changing and the earth is warming up. There is now overwhelming consensus that it is happening, and human-induced. With global warming on the increase and species and their habitats on the decrease, chances for ecosystems to adapt naturally are diminishing. Deforestation is also a driver for climate change. Global warming is a foreseeable reality when the rainforest and other forests are destroyed. Forest soils are moist, but without protection from sun-blocking tree cover they quickly dry out. Trees also help perpetuate the water cycle by returning water vapor back into the atmosphere. Without trees to fill these roles, many former forest lands can quickly become barren deserts. The decrease, chances for ecosystems to adapt naturally are diminishing. The US National Aeronautics and Space Administration (NASA) has detected a surge in deforestation in Malaysia over the first quarter of 2014. The agency's satellite-based Quarterly Indicator of Cover Change (QUICC) recorded an alarming increase of 150% in the number of deforestation signals in Malaysia relative to a five-year baseline. The increase is second only to that occuring in Bolivia (162%) and is significantly higher than that of Panama (123%), Ecuador (115%), Cambodia (89%) and Nigeria (63%). 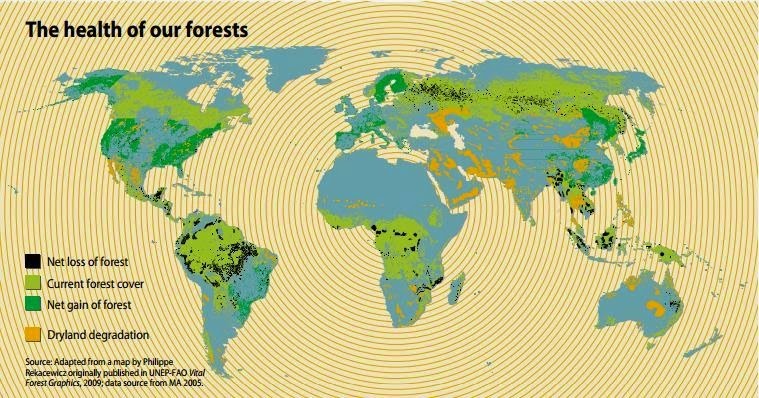 This reflects, Malaysia had the world's highest rate of forest loss between 2000 and 2012, according to a new global forest map developed in partnership with Google. Malaysia's forest loss was partly offset by a 25,978 sq km gain in vegetation cover resulting from natural recovery, reforestation, and establishment of industrial timber and oil palm plantations. During the period, Malaysia's oil palm estate grew by roughly 50 percent or 17,000 sq km. 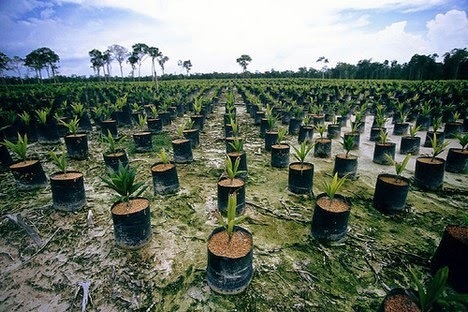 But tree plantations don't stack up well to natural forests into terms of biodiversity, carbon storage, or maintenance of ecosystem services, indicating that Malaysia suffered very extensive decline of its natural capital base. 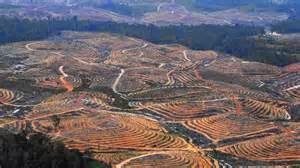 Most of Malaysia's forest loss occurred in its densest forests, those with tree cover exceeding 50 percent, which generally store the most carbon and are richest with wildlife, including endangered orangutans, pygmy elephants, Sumatran rhinos, and clouded leopards. Dan Zarin, program director of the Climate and Land Use Alliance, an association of philanthropic foundations, says trading natural forests for planted forests represents a net loss for the planet. Malaysia's rate of forest loss during the period was nearly 50 percent higher than the next runner up, Paraguay (9.6 percent). Its area of forest loss ranked ninth after Russia, Brazil, the United States, Canada, Indonesia, China, the Democratic Republic of Congo, and Australia. 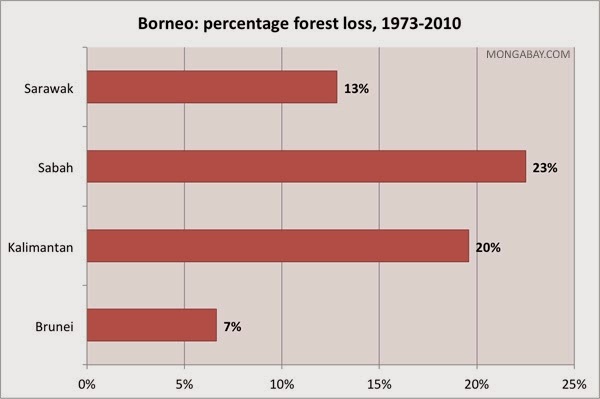 Malaysia's net forest loss — 21,480 sq km — ranked 12th globally. 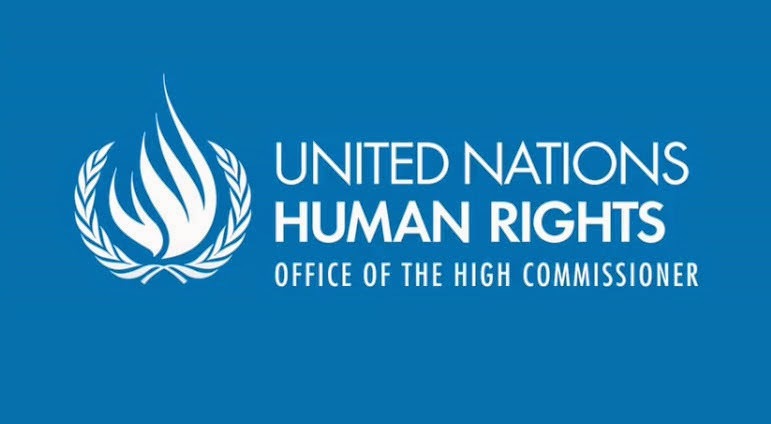 ISLAMABAD, Pakistan - The Pakistan government has rejected calls by the UN and the European Union (EU) to revive moratorium on execution of convicts, a media report said. “Capital punishment for terrorists did not violate international law,” Dawn quoted a Pakistan government spokesperson as saying on Sunday. “Pakistan respects the international community, but the country is passing through extraordinary circumstances, which demand extraordinary measures to be taken,” a government spokesman said, referring to UN Secretary General Ban Ki-moon’s conversation with Prime Minister Nawaz Sharif on December 25 in which the UN chief called for halting executions. The EU too had called for halting executions. 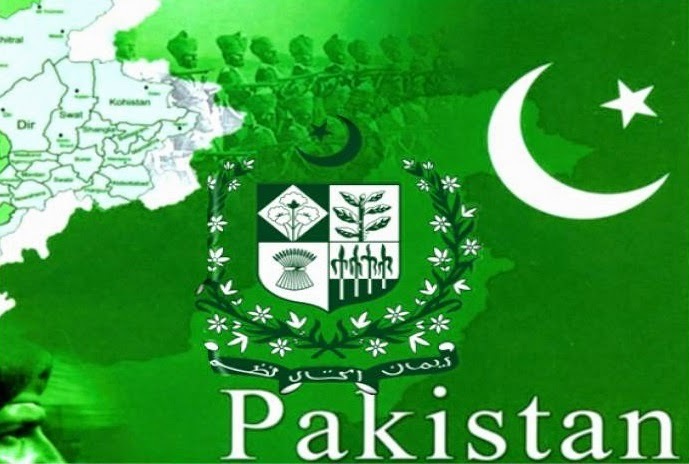 The spokesperson said that a “peaceful Pakistan is in the best interest of the world”. Pakistan has some 8,000 death-row inmates awaiting execution. 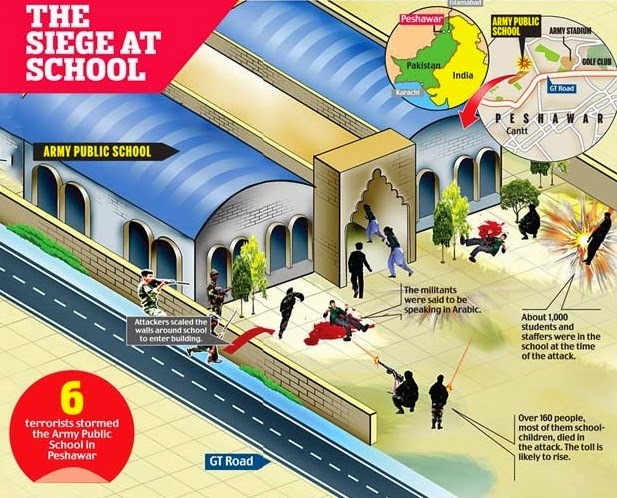 But the government says that moratorium has only been lifted in terrorism cases. 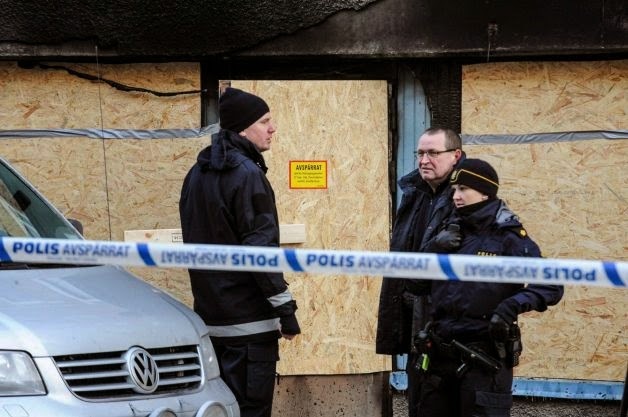 The number of those convicted in terrorism-related offences is about 170. 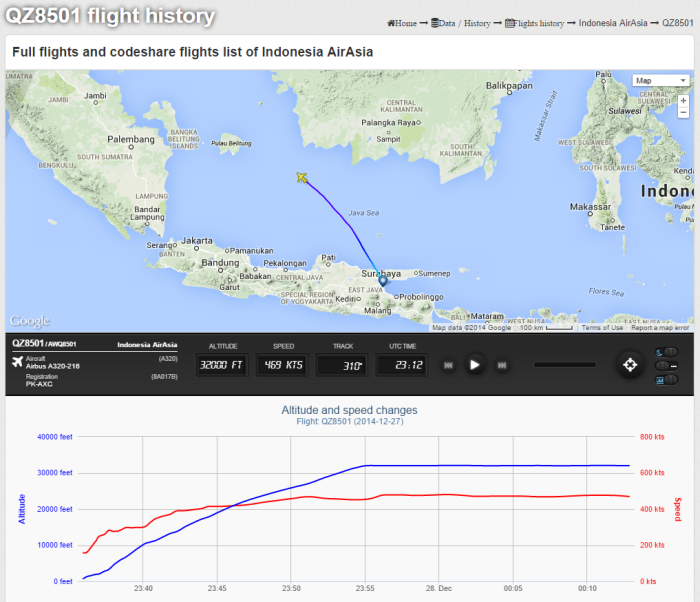 BREAKING NEWS: MALAYSIAN AIRASIA PLANE WRECKAGE FOUND OFF BELITUNG ISLAND? 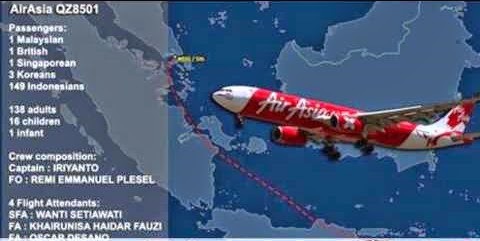 PETALING JAYA, Malaysia - Unconfirmed reports have emerged online that wreckage, allegedly to be from the missing Indonesia AirAsia Flight QZ8501 has been found in the waters off East Belitung. An AirAsia flight carrying 155 people from the Indonesian city of Surabaya to Singapore lost contact with air traffic control on Sunday, officials in the region and the budget carrier said. 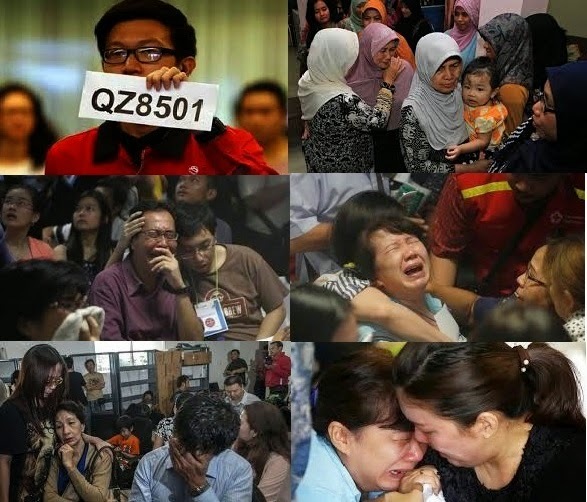 Flight QZ8501, an Airbus 320-200, lost contact with the Jakarta air traffic control tower at 6.17am local time, Indonesian Transport Ministry official Hadi Mustofa told media. 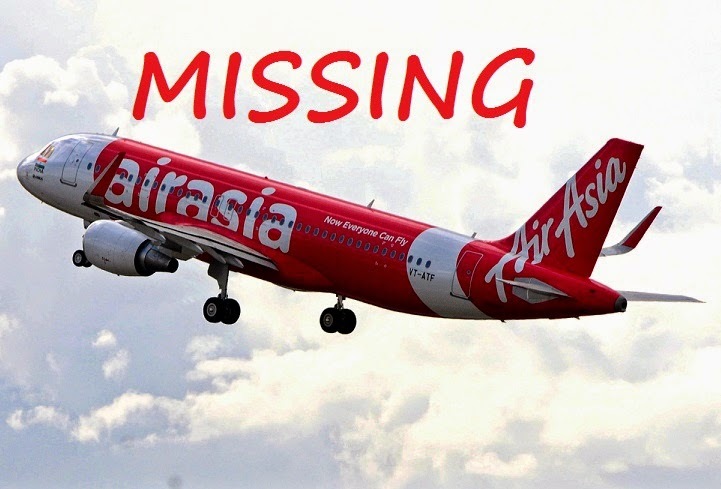 Kuala Lumpur-based AirAsia confirmed its flight had lost contact with air traffic control and said a search-and-rescue operation had been launched. Indonesian media said 149 Indonesians, three people from/sKorea, and one each from Singapore, Britain and Malaysia were on board. The flight had been due in Singapore at 8:30am Singapore time. The Singapore airport said on its website the status of the flight was "delayed". 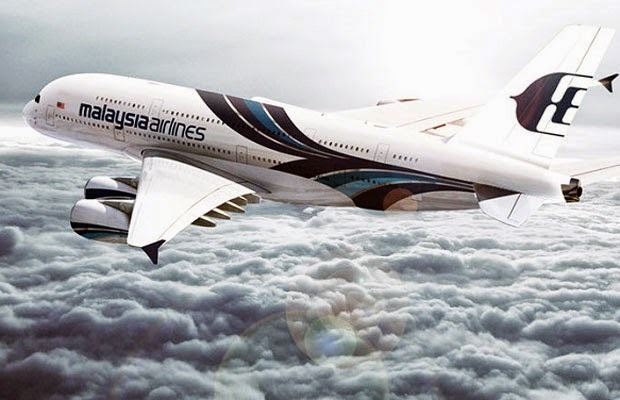 The incident comes at the end of a disastrous year for Malaysia's airlines.National flag carrier Malaysia Airlines lost two aircraft this year. Its flight MH370 went missing on March 8 on a trip from Kuala Lumpur to Beijing with 239 passengers and crew on board. Meanwhile, U.S. President Barack Obama was briefed on the disappearance of AirAsia flight QZ8501 on Saturday, said White House spokesman Eric Schultz. vacation with his family in Hawaii. 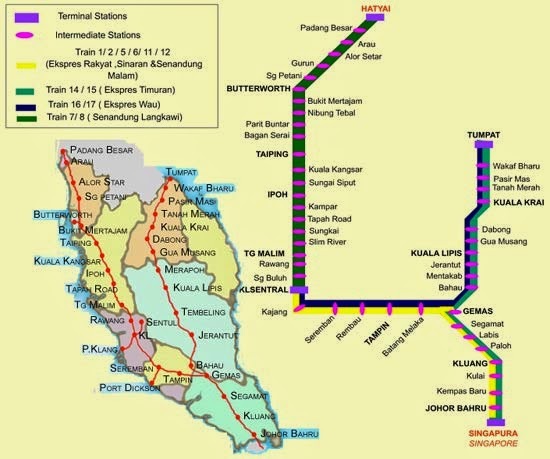 Keretapi Tanah Melayu Bhd (KTMB) has stopped its rail service to the east coast as its coaches are submerged in the floods that had hit the region. 300 bridge tracks, 10 train stations and 19 coaches are affected by the floods, either submerged entirely or partially by waters up to 3m high, according to the rail company. "This is the worst flood the company has seen since 1969," said KTMB chairman Datuk Nawawi Ahmad. "We are sad to say we have stopped our east coast operations since Monday and the situation is expected to last till the end of next month," he told a press conference here yesterday. Eight intercity and express trains have been cancelled from the Chegar Perah station in Pahang to Tumpat in Kelantan. With 800 staff members of KTMB affected, Nawawi said the company wanted to send food and basic necessities to them but, without a single landing pad for helicopters, they can only airdrop the items. KTMB sent out a team of volunteers to bring aid to the victims yesterday and a flood operation centre has been set up to monitor train operations and other flood-related matters. 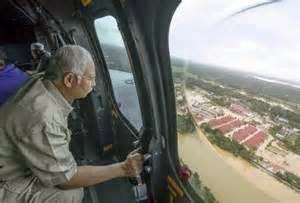 The number of people evacuated due to Malaysia's worst-ever floods jumped to more than 160,000 on Saturday, as Prime Minister Najib Razak reached the worst-hit state after cutting short a vacation in the US. 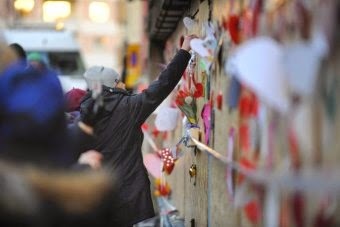 On Saturday, Najib announced an additional 500 million ringgit will be spent to aid victim. 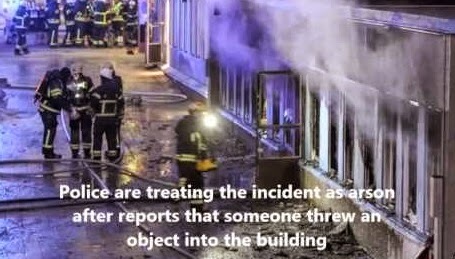 “Somebody threw an object through a closed window and afterwards a fire started inside,” police spokesman Lars Franzell told AFP. 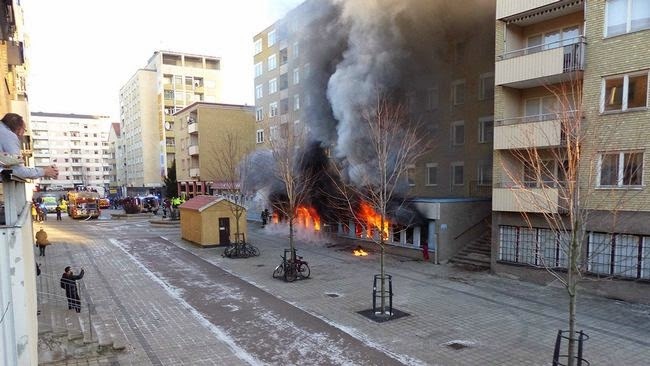 The mosque is located on the ground floor of a building in the city of Eskilstuna, some 90 kilometres (55 miles) west of Stockholm. KANEOHE BAY, Hawaii: What do two world leaders do when they find themselves on the same Hawaiian island on Eve? 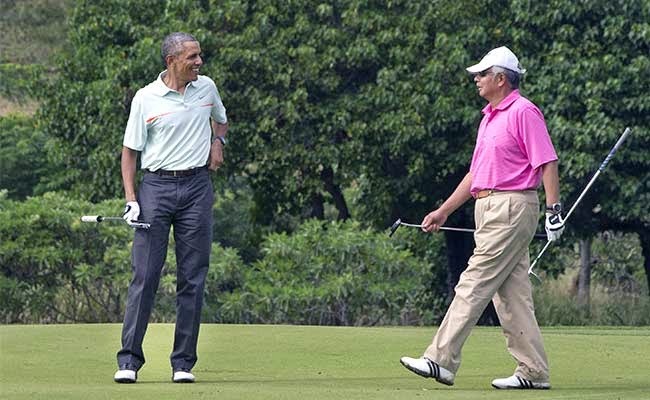 If you’re President Barack Obama and Malaysian Prime Minister Najib Razak, you round up a few aides and make common cause on the golf course. 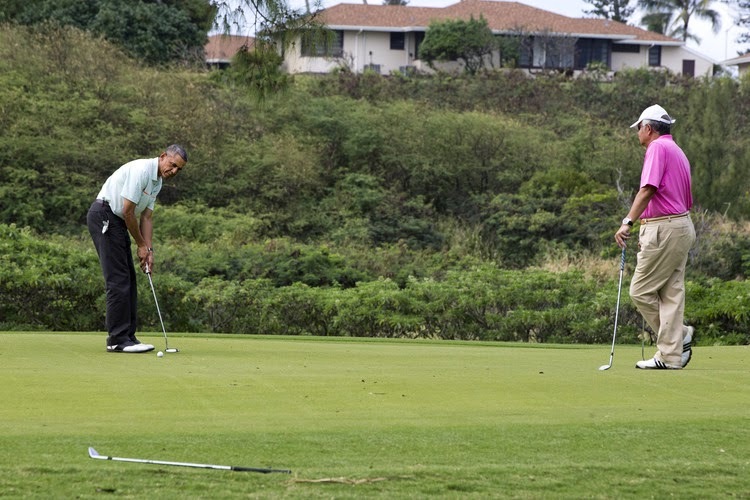 Both vacationing this week in Oahu, Obama and Najib tee off on Wednesday on a cloudy but balmy afternoon at a Marine Corps base, not far from where Obama is renting a home for his two-week stay. The two leaders seemed at ease together, smiling and laughing in casual clothes as they sized up their shots. Although Obama plays golf nearly every day while on vacation, he typically restricts his foursome to a small circle of longtime friends and advisers. But in recent years, his annual trip to Hawaii has allowed Obama to mix in a little diplomacy. 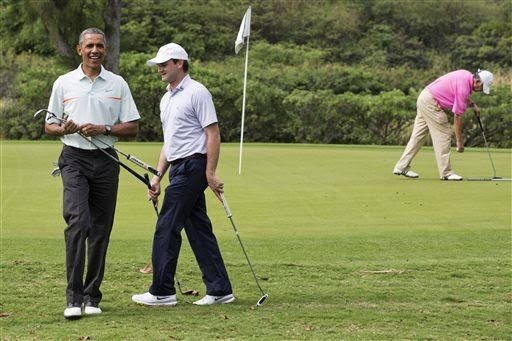 Last year, he hit the links with New Zealand Prime Minister John Key, who owns a home in Hawaii. Media access to Obama’s golf games is typically restricted, but reporters and photographers were permitted to briefly watch the two leaders on Wednesday about halfway through their game. Neither leader was having particularly good luck with their short game. Up first to finish the hole, Najib came up short with his putt. Obama crouched low to line up his shot, but the ball tilted left and evaded the hole. After another failed attempt, he picked up the ball and called it quits. Najib, too, missed his next shot, but a gracious Obama gave him a pat on the shoulder and praised his golf game just the same. “Merry ,” Obama said as he waved to the media. National news agency Bernama reported that 90,250 people were evacuated this morning with the highest number in Kelantan at 32,343, followed by Terengganu (28,991), Pahang (24,316), Perak (4,335) and Perlis (265). The east coast states suffer annual floods but this has been the worst in living memory. 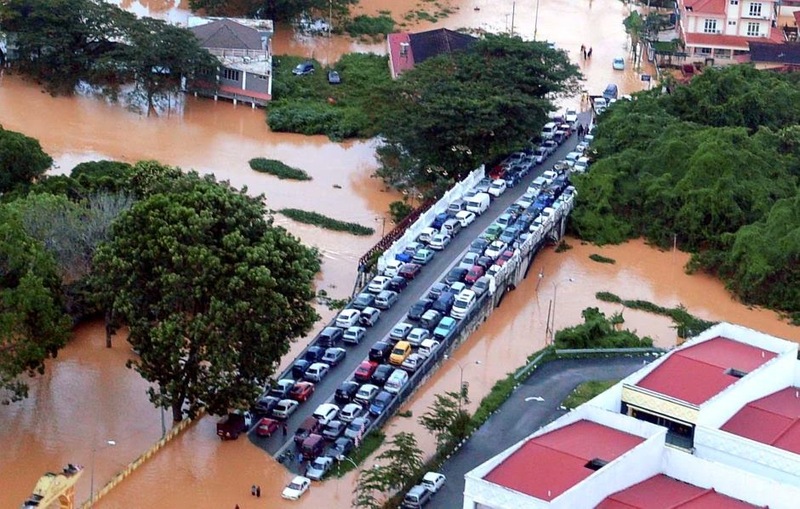 The last big floods in the country was in 1971, with the worst-hit are being the Klang Valley. 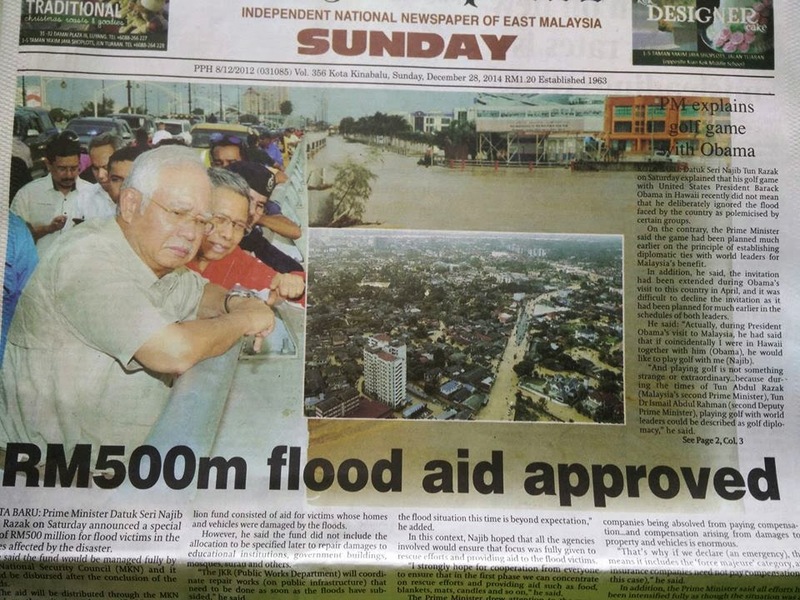 Putrajaya has approved an immediate allocation of RM50 million for flood-hit states, Second Finance Minister Datuk Seri Husni Hanadzlah was quoted as saying by Bernama. He said the allocation would be channeled to the state development office in the affected states and distributed immediately. 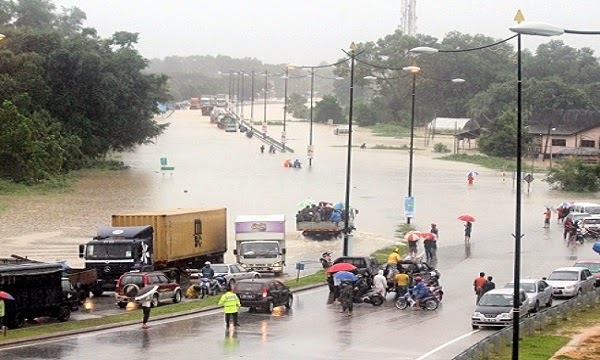 In Kelantan, 5,190 people were moved out of their homes overnight to add to the 27,153 already evacuated as of last night, according to the state government flood portal. 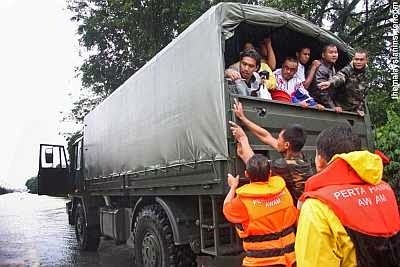 The latest evacuees were from the Tanah Merah and Kota Baru districts. 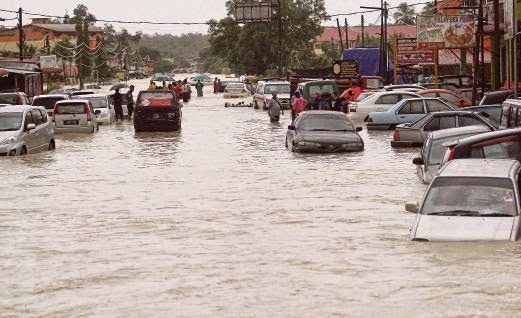 Kota Baru has come to a standstill after Sungai Kelantan burst its banks there yesterday. 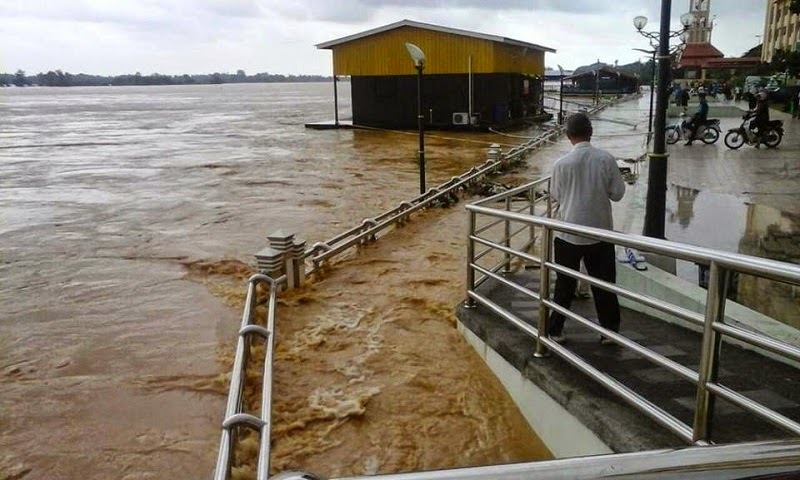 Seven of the eight other districts in the state – Gua Musang, Jeli, Kuala Krai, Machang, Pasir Mas, Pasir Puteh and Tumpat – are also affected by floods. Kelantan has closed 37 roads as of today. 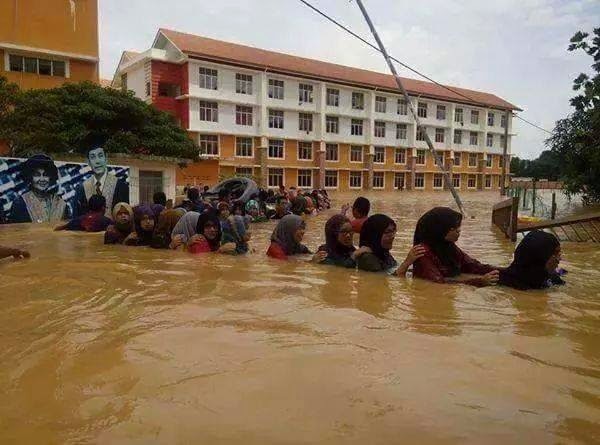 In Terengganu, Kemaman is the worst affected district with 19,400 evacuees. Pahang, Kuantan district had the highest number of evacuees at 14,350. 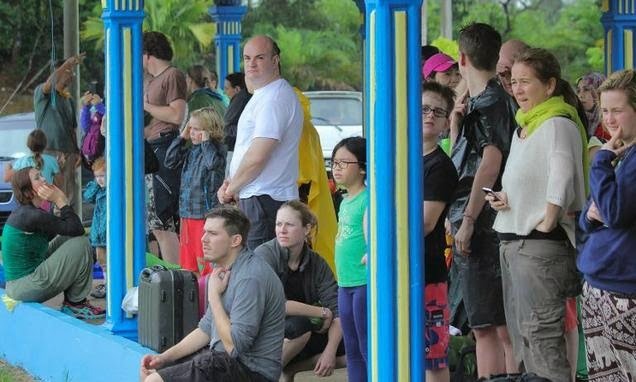 Meanwhile, plans to evacuate local and foreign tourists from the flood relief centre in Kuala Tahan today had to be shelved because of adverse weather conditions. The 102 tourists at the flood relief centre at SM Jubli Perak Sultan Ahmad Shah had earlier been evacuated from the Mutiara Taman Negara Resort. The tourists had been stranded at the Mutiara Taman Negara Resorts after heavy rains caused the water levels of Sungai Tembeling to rise. In Perak, 4,335 people were evacuated in the Kuala Kangsar, Hulu Perak and Perak Tengah districts. CUBAN-AMERICAN OPPOSE US-CUBA TIES GESTURE? VIETNAM’S ‘RAT KING’ HAULS RATS FOR MONEY. FOOD? DEAD SYDNEY GUNMAN SPENT TIME IN MALAYSIA? 220 JOURNALISTS ARE IMPRISONED WORLDWIDE? 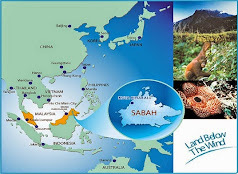 NO COUNTRY AN ISLAND NOT EVEN MALAYSIA?